Home / Articles tagged with "acupuncture"
One quarter of Americans reported low back pain at least once in the last three months. An expert explains how to best relieve it and the answer may surprise you. 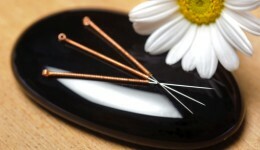 Can you cure a baby’s colic with acupuncture? The Chinese medicine has been known to help chronic pain and even the common cold. But what about a colicky baby? An expert offers tips to prepare for your first visit. What are those purplish-red marks spotted on many Olympians? You’ve likely noticed them on stars like swimmer Michael Phelps and gymnast Alex Naddour. So what is cupping and does it work? Menopause relief? Thank the kids! A recent study found that young children in the house can alleviate menopause symptoms. Researchers reveal that the ancient procedure can help cut fatigue and anxiety. 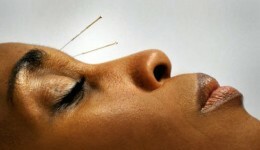 I wasn’t wild about getting an acupuncture treatment to relieve my migraines. Then my headache went away in an hour.